Excited to share with you another Digit-al Dozen Animal Week mani. I made Neon Leopards this time, with the help of Nail Candy Pens. I've used these before and am very happy with how they perform. 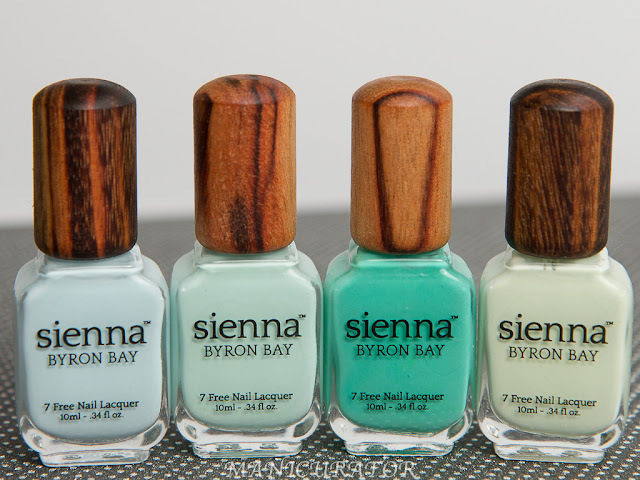 If you are not familiar with these, you can twist off the top and paint each color on as you normally would apply polish. Or, you cap pull the cap off and use the pen tip to get fine lines. Make sure to read to the end of the post for a special giveaway! I used Nail Candy Pens Lessons in Neon set and pen #1 from the Let's Talk French set. You can see all the sets and learn all about the pens by checking out their Facebook page and their website of course. Advice from the Nail Candy people to avoid air bubbles and oozing from the pen tip: "Our polish bottles are flexible plastic, so when you put the brush back into the bottle to use the micro-tip applicator on the other side, squeeze the bottle until the polish is at the top of the plastic container. Keep squeezing as you screw the applicator on, and release when the applicator is completely attached. That way, it creates a vacuum that keeps the polish in the bottle. 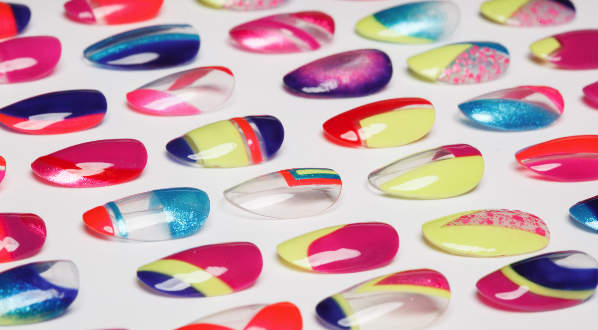 You will have MUCH more control over how much polish comes out the tip, no more oozing or air bubbles! And always remember, never press on the tip, squeeze the bottle to get polish out of the tip". I started this mani by applying one coat of the opaque white from the Let's Talk French set. I let it dry and then painted stripes of each neon on a sponge, overlapping a tiny bit and sponged it onto each nail. I repeated the process until I was happy with the gradient. You need to allow each polish layer to dry, otherwise when you go back and sponge again, you may get little sponge pieces coming off, or you may pull up wet polish from the nail onto the sponge. After the gradient was dry, I pulled off the cap of the opaque white and "drew' on my leopard spots. Then you do your clean up and top coat if you want. I looove how this turned out and did not want to take it off!! The first photo in this post and the following photos are with Seche Vite top coat. I actually like this manicure better without top coat. And now.....for the super exciting news!! The lovely team over at Nail Candy Pens have offered to giveaway the pens I used for this manicure for one of my lucky readers!!! Don't forget to check out Digit-al Dozen Day 4 from everyone else and have a great night! This is so pretty! I love the bright colors and the leopard print is great! Thanks for the chance to win the pens, they sound fantastic! It's funny how some looks just work better without topcoat! why oh why are your gradients always beyond perfect!? :) duh! 'cause you're awesome! OMG!!! Love neon and gradient. You have a great, informative blog. Congrats...keep doing what you love! Such a cool mani! I love how these pens are double ended/functioning!